In most cases, children under 4 travel for free. Children up to 14 may also travel free or at heavily discounted fares when riding on Frecciarossa, Frecciabianca and Frecciargento trains, as well as Thello trains. For all other trains, the maximum Child age is 11. Seat, couchette and other reservations must be made even for a child traveling for free and still requires a reservation fee. Long plane and train trips can be difficult for children. Passengers should pack each child a backpack that he or she can carry, with quiet and fun toys. Snacks are a great way to keep children energized all day long. Children are always hungry, and eating a meal every few hours will break any budget. Packing snacks and food ahead of time is a good plan when traveling with children, but also for adults! Dinnertime in most European countries does not begin until 8pm. A late afternoon snack will tide the family over until then. To keep boredom to a minimum, passengers should alternate indoor museum touring days with outdoor active sightseeing days. A fun way to keep your child’s memory of your travels, is to allow children to pick one type of souvenir they want to collect from each place they visit. Key-chains, postcards, pens, and tourist maps are inexpensive, small and won't take up a lot of space. Another idea is to give children a disposable camera to your children and let them take pictures of their vacation. If they are older, you could give them journals or scrap books in which they can collect ticket stubs and other small reminders of their European trip. 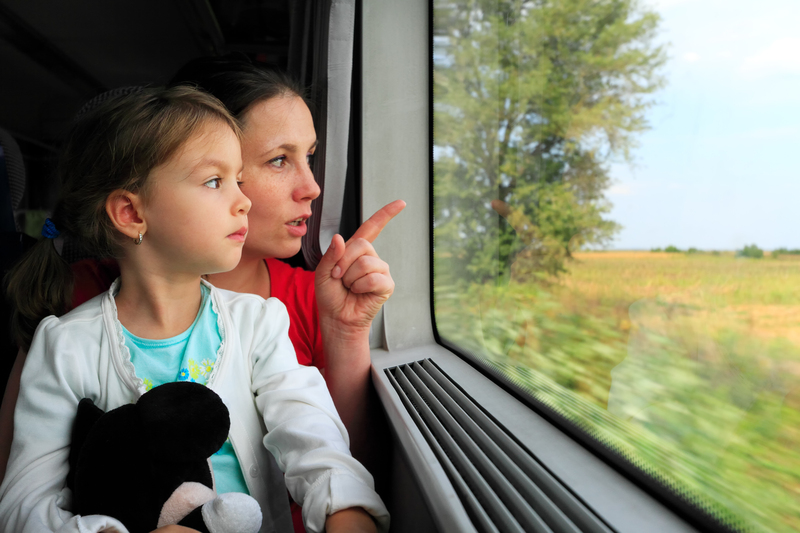 To avoid feeling homesick, passengers can have children bring photographs of their hometown and family as they travel. They will be able to proudly show locals where they come from. Passengers should always carry plastic bags for diapers and dirty clothes. Visiting popular European sites that the children may know about, such as the Eiffel Tower, London Bridge, leaning tower of Pisa is a great way to educate them and keep them entertained. Passengers should purchase a European language phrase book to teach their children how to say greetings in the language of every country visited.